On last week’s Last Week Tonight with John Oliver, John Oliver used the mental math/computation strategy of halving and doubling as a punchline to a news story on nuclear waste. This reminded me of a video clip from Sherry Parrish’s Number Talks. In it, the teacher poses the problem 16 × 35. The fifth graders share several strategies: partial products (10 × 30 + 10 × 5 + 6 × 30 + 6 × 5); making friendly numbers (20 × 35 − 4 × 35); halving and doubling (8 × 70); and prime factors (ultimately unhelpful here). I’ve probably shared this video in about a dozen workshops. There are some predictable responses from attendees. Often “not my kids” is the first reaction. 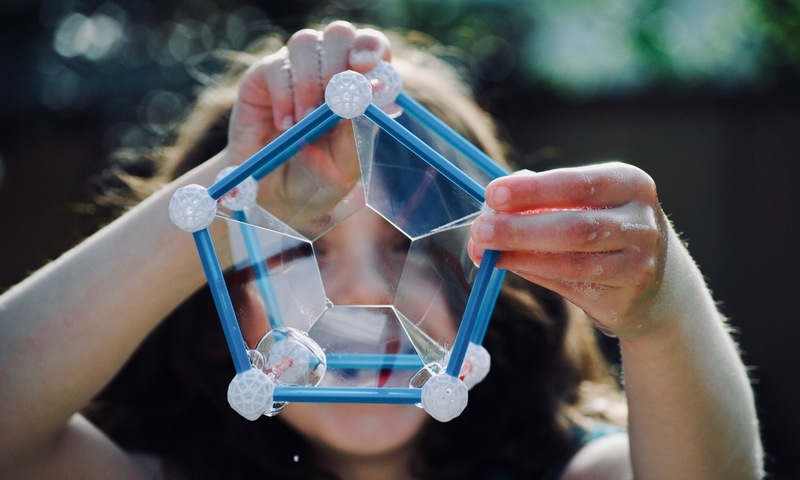 I remind teachers that the teacher in this video has implemented this routine three to five times a week in her classroom. This isn’t her kids’ first number talk. 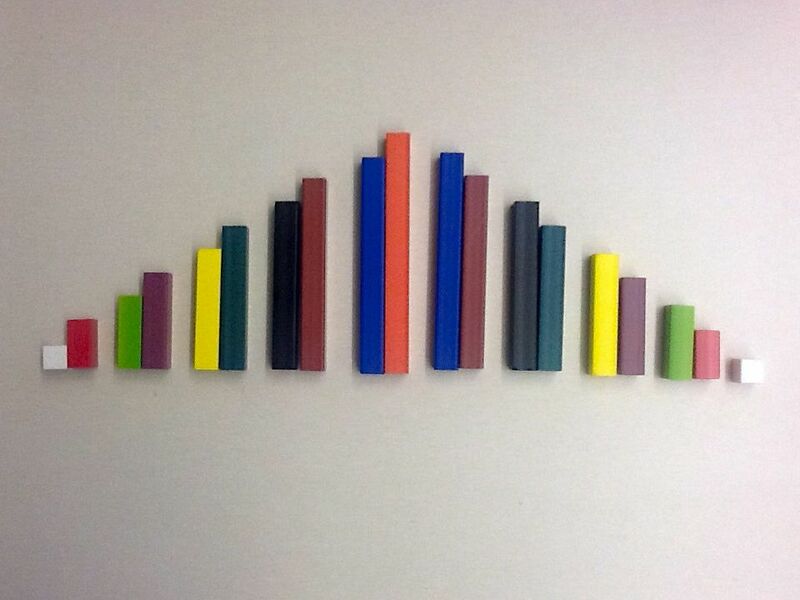 Pose 16 × 35 in your fifth–or ninth!–grade classroom tomorrow and, yeah, the conversation will probably fall flat. 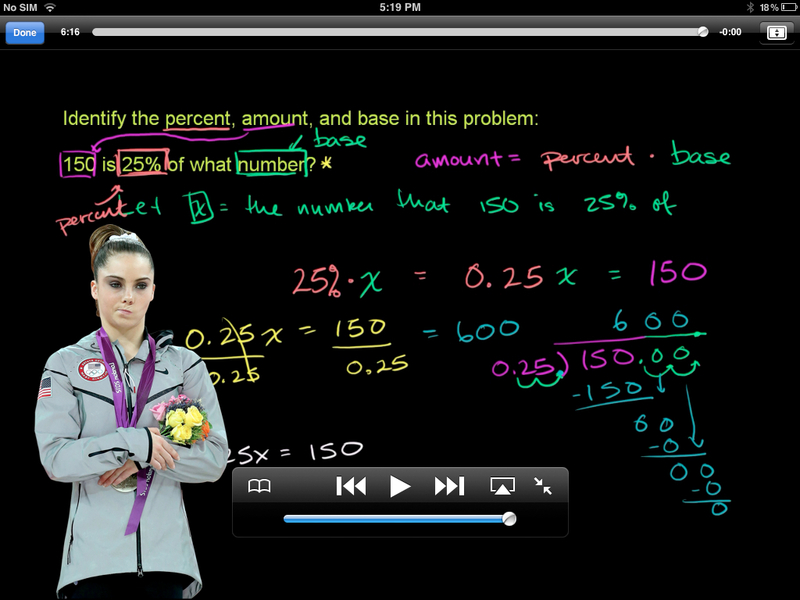 Also, this teacher is part of a schoolwide effort (seen in other videos shared at these workshops). 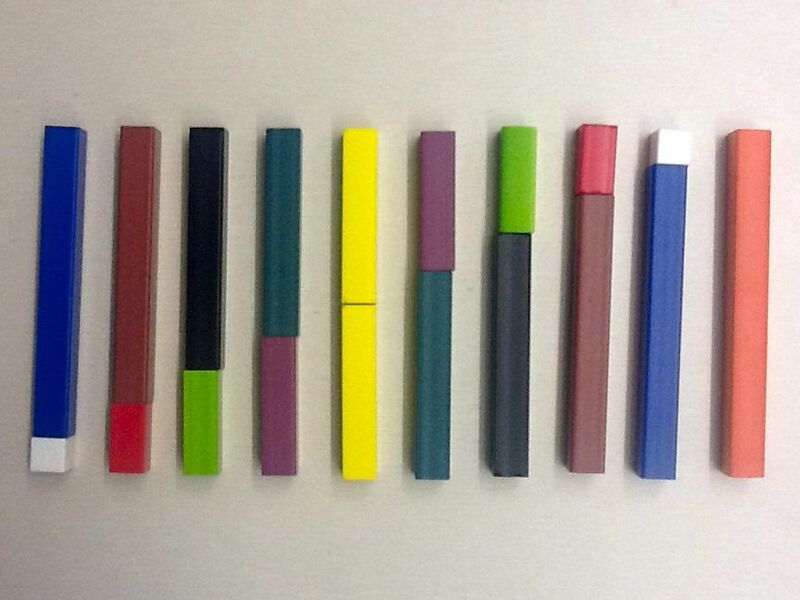 Teachers are always amazed by Molly’s halving and doubling strategy. Every. Single. Time. I ask attendees to anticipate strategies but they don’t see this one coming. I note that doubling and halving wasn’t introduced through 16 × 35. I would introduce this through a string of computation problems (e.g., 1 × 12, 2 × 6, 4 × 3). “What do you notice? What patterns do you see? Does it always work? Why?” We can answer this by calling on the associative property: 16 × 35 = (8 × 2) × 35 = 8 × (2 × 35) = 8 × 70 above. Better yet, having students play with cutting and rearranging arrays provides another (connected) explanation. 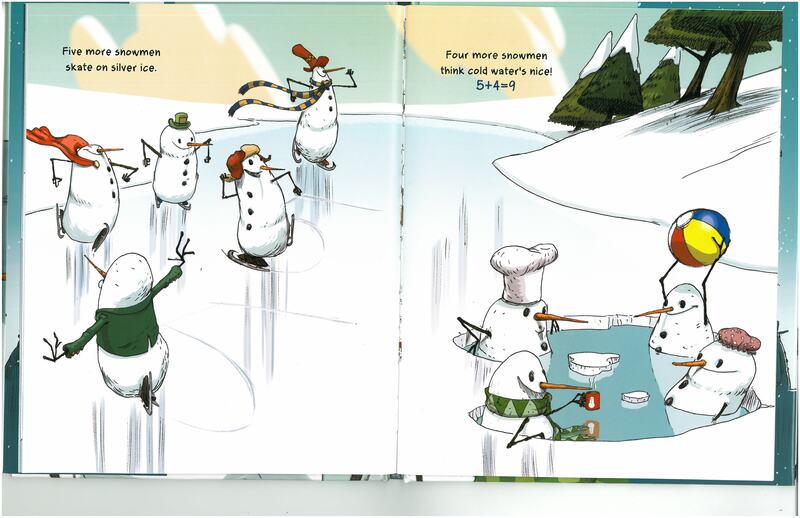 I’m not usually a fan of equations in math picture books. 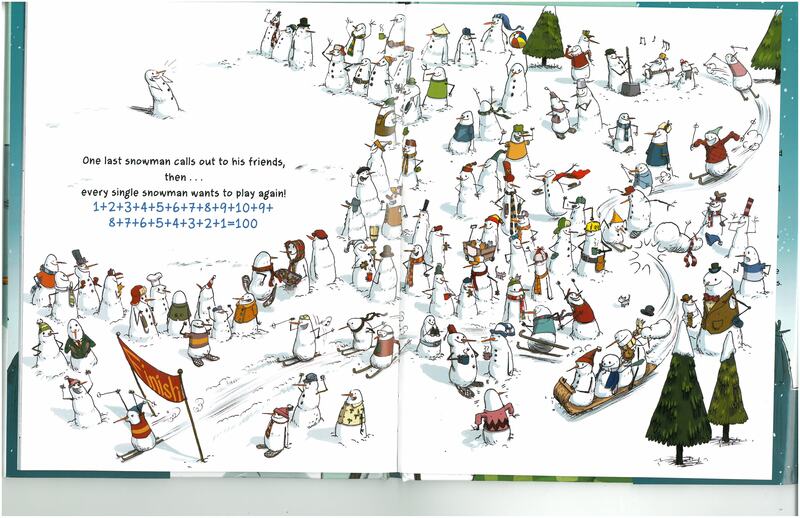 But I like 100 Snowmen by Jennifer Arena and Stephen Gilpin. On each page, students can use the mental math strategy of adding one to a double to determine basic addition facts to 19. Each number is represented as both a number to be doubled and one more than a number to be doubled. Take five. Here, students can double five and add one more to determine five plus six. Here, five is not doubled, but one more than four, which is doubled. 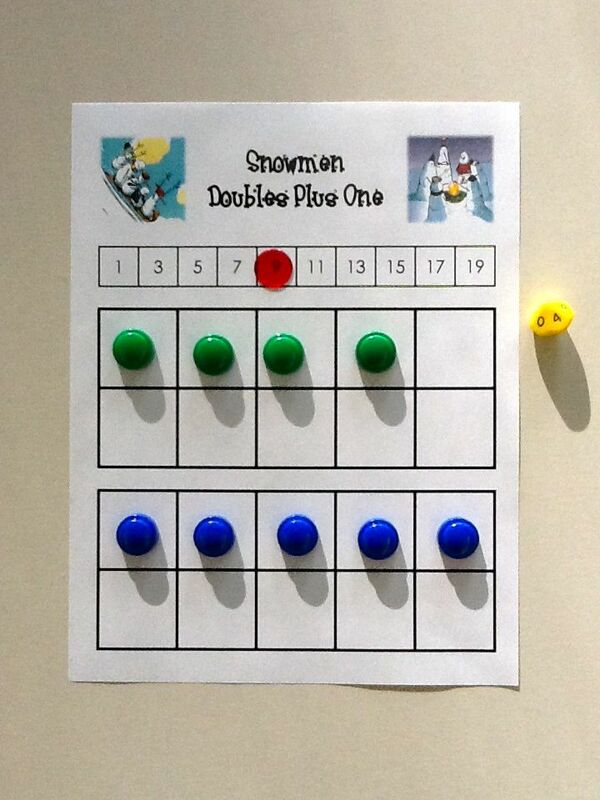 To practice this strategy, students can play a game. The first player to cover all of the sums wins. 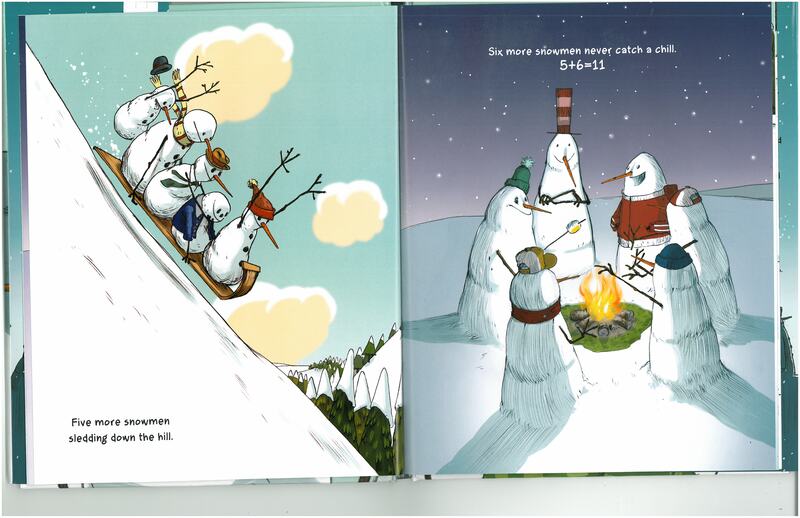 On the last page, every single snowmen is added. This suggests a different mental math strategy: making tens.